Home Magazine Expert Advice Sodexo Insights: What is with the TIONS? Words ending with the suffix “ -tion” indicate state, condition, process or result. The suffix changes the action we are attempting to achieve into a noun we hope to accomplish. Tions are prevalent in Healthcare Technology Management as seen in the following examples. Consolidation/Systemization: According to the American Hospital Association (AHA), hospital numbers have decreased to 5,564 over the past 30 years. The remaining facilities have aligned, merged or been acquired by other systems wanting to become larger. Health care organizations need to grow. 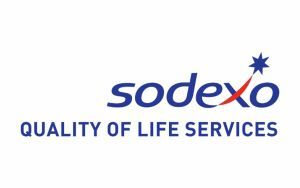 The current vehicle to achieve this goal is to obtain more “covered lives.” Sodexo has coined a phrase calling this activity systemization. 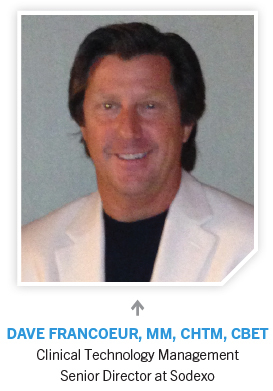 Systemization created many new challenges in the Healthcare Technology Management (HTM) profession. If you are an in-house HTM professional, you are very concerned your organization may be integrated into a larger system and not know how this will affect you. 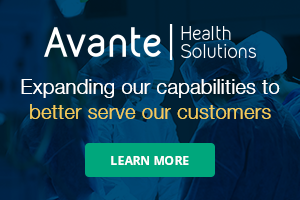 The same is true if you are employed by a manufacturer or even a third-party company, it’s becoming more and more challenging to find health care facilities you can align with. You may have a great relationship in your current situation only to have it terminated because the facility you have been successfully working in has decided to integrate with another facility which uses another service provider. The same can be said for manufacturers. You can have a great working relationship where they have utilized your products and services forever, and now they are choosing to go another direction, blocking you entirely. All of this causes uneasiness in our profession. Qualification/Validation: There are certain segments of our industry that are reviewing the value in questioning the abilities/credentials of individuals performing activities in our profession. Depending on which way this goes, it could have a significant impact on our industry. This could potentially drive additional levels of qualifications for each individual contributing in this profession and likely some sort of ongoing validation to those qualifications/abilities. Certification/Verification/ Recertification: The Association for the Advancement of Medical Instrumentation (AAMI), through AAMI’s Credentials Institute (ACI), has recently changed the recertification process. While the changes appear to be more standardized, and they have attempted to simplify the process, it will take more rigorous actions by individuals to document and track their actions in order to present evidence that they are maintaining the established standards. a.Note 3: Scheduled maintenance activities for non-high-risk medical equipment in an alternative equipment maintenance (AEM) program inventory are to be 100% completed. AEM frequency is determined by the hospital AEM program. a. Note 2: Required activities and associated frequencies for maintaining, inspecting and testing of medical equipment must be completed in accordance with manufacturers’ recommendations with a 100% completion rate. Above are a few tions showing examples of things changing in our industry. In many cases they drive standardization and improve quality. The question becomes, at what cost, which is not meant strictly in the financial sense.